One of the capacity-building opportunities that Segal Family Foundation offers to its partners is a small grant to support "Learning Visits" to see other SFF partners in action. It's a low-cost way to share ideas, gain inspiration, and make our community of creative collaborators even stronger. Here is the story of one such visit...in a guest post by Wendo Dorcas, chief executive officer of Dandelion Africa. When your organization is ready to expand and grow, what do you do? The NGO I founded, Dandelion Africa, serves the people of three rural Kenyan counties and was in need of renewed energy and ideas to move us forward. Thanks to the suggestion of our partner Segal Family Foundation, we decided to visit another one of their grantees in an effort to learn from them. Five hours after leaving hot, dry and dusty Mogotio, we arrived in Rarieda village, a beautiful area with lush, green plantations and well-maintained roads. 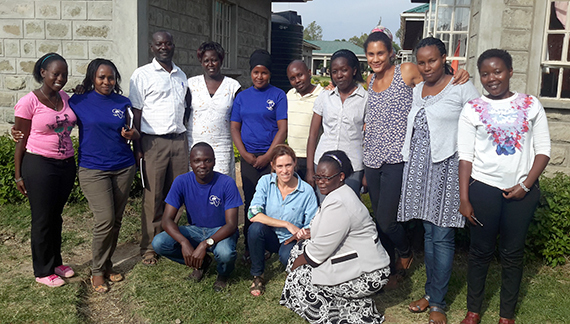 We knew immediately that this visit would be beneficial for us because we noticed that the staff of Rafiki not only spoke about sustainability, they fully incorporated it as the basis of all their work. Rafiki Wa Maendeleo improves the well-being of the community by focusing on the health, education, and social development of children. The beauty of their work is that they fully support children throughout different stages into adulthood. Our team clearly saw similarities in our models and the improvements we could make. For instance, Dandelion Africa focuses on adolescent sexuality and mentorship through our Girls for Leaders Club program. Last year, we worked with 442 pupils in the Girls for Leaders Club. Our approach is to provide sanitary pads for girls and to create a forum for boys to understand their role in the community. 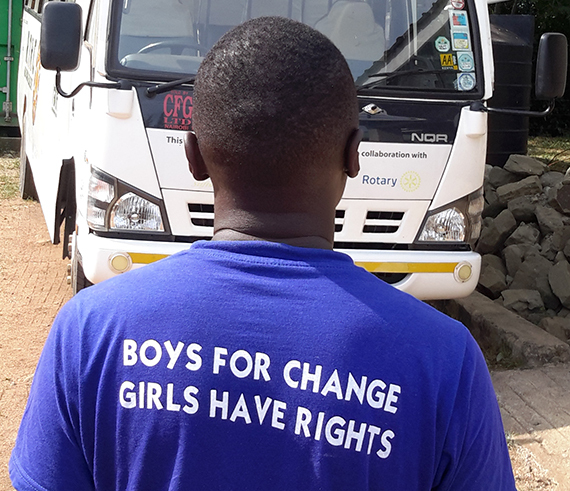 The girls build their self-confidence, and the boys learn to champion the rights of the girl-child. 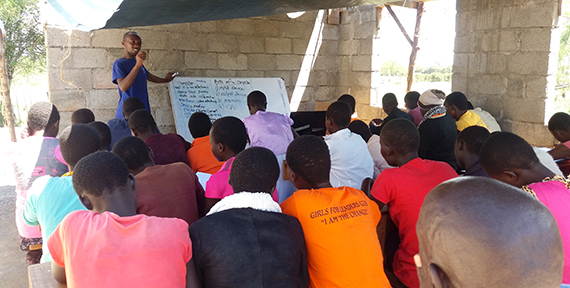 While our approach has reportedly reduced child marriage and female genital mutilation in the villages where we work, we decided to review our method and resources for our Girls for Leaders Club after visiting Rafiki. We realized the importance of shifting our perspective from viewing the youth as beneficiaries to seeing them as active partners in our work. The learning visit reinforced that there is room for even children's participation in the club through more group discussions, as well as involving them in data collection in their communities and teaching them hands-on skills that they can use later to earn a living. Dandelion Africa is also currently constructing the Dandelion Resource Centre in Sarambei village, which will serve 80,000 people. Our visit to Rafiki inspired us to envision a sustainable Dandelion Resource Centre. We had not fully comprehended the potential it has! Our resource centre will allow us to offer two new services: a sexual reproductive health clinic and the first village library and ICT centre in Rongai. Since most rural children have never been inside a library or seen a computer, our goal is to create a culture of reading and connect the rural children to the world. We realized that all our programs can work together to create a holistic approach in community development and improve the economic livelihoods of the communities in which we work. We returned feeling motivated, renewed, and excited. We started to dream about how the Dandelion Resource Centre will look like in five or ten years, and how much more we can do. A huge, heartfelt thank you to Rafiki Wa Mandeleo and Segal Family Foundation for giving us the opportunity to learn!